If you are of a certain age, you almost certainly have very fond memories of Blockbuster Video stores. But in the age of Netflix and even Redbox, it is something that is a relic of the past and something that many of us probably haven't even thought about for at least a handful of years because it is no longer a thing. Or so we thought. It turns out that there are at least 10 Blockbuster stores still operating in the United States and, perhaps most surprisingly, most of them are thriving in Alaska. 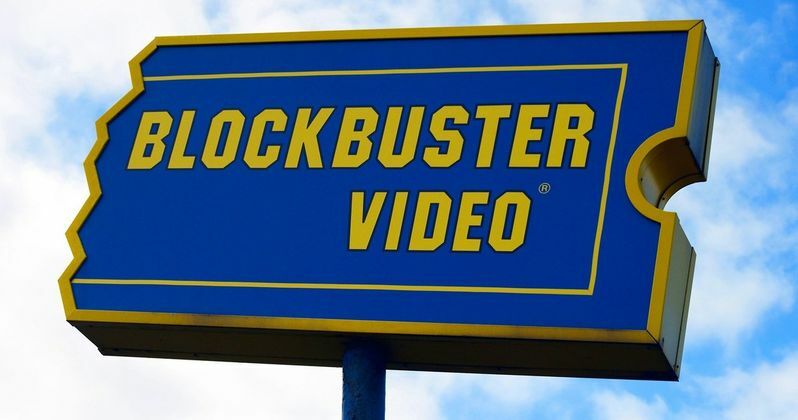 In a recent feature done by The Washington Post, it was revealed that Blockbuster Video is alive and well in Alaska, with seven stores currently still operating in the state. This, despite the fact that the chain started closing all of their retail locations back in 2013. Many of you probably have some heavily discounted DVDs in your collection that you purchased at a Blockbuster that was closing down. Alan Payne, a Blockbuster licensee-owner, is the man who currently owns several of these still operating locations and says that in Alaska, it is surprising how well they still do. "A lot of them are still quite busy. If you went in there on a Friday night you'd be shocked at the number of people." Expensive wi-fi and long winters are to thank for Blockbuster's success in Alaska. Though, there are a still a few other locations scattered throughout the U.S., including in Texas. Alan Payne manages to sustain about 80 employees with the eight Blockbuster stores that he owns, which is truly surprising when thinking about how much of a distant memory renting an actual movie from an actual store is for most of us. That is not to say the business hasn't suffered to some degree. At its peak, his stores saw about 40,000 visitors. Now it is down to 10,000. He has managed to keep the stores open for so long doing what he calls "managed downscaling." But even he knows this won't last forever. Payne does make a good point about what helped make Blockbuster so special. "There's not a whole lot of retail businesses that people go to because they truly want to. When you went on a Friday or Saturday night to rent a movie ... that was just fun." Part of the reason that the Blockbuster Video stores in Alaska are still managing to keep their doors open has to do with the customer base. According to Alan Payne, many of his customer base is made up of older people who are used to doing things the old way. Interestingly enough, about 20 percent of his business comes from people renting TV shows who want to binge watch, but can't or just don't do so on streaming services like Netflix. The word is still out on whether or not they rent VHS tapes for your VCR, though. Blockbuster fell from grace in a truly staggering way. At its peak , the company was bringing in $6 billion annually and had more than 9,000 stores nationwide. So as surprising as it may be to learn that there are still a handful of Blockbuster Video locations in the U.S., it is still impressive to think just how quickly and to what degree the once thriving video store chain has fallen. But nostalgia seekers will probably smile knowing that somewhere in Alaska, someone is still dealing with paying late fees for a movie they forgot to return from the week before.